Water is essential for a healthy mind and a healthy body, and in case we haven’t stressed it enough, it’s also one of the main factors to take into account for a healthy skin. We’d all like to drink the purest water possible to ensure we’re getting the nutrients without the nasties, but buying bottled spring water is not only expensive, it also contributes to the global plastic problem we’re currently facing. So what if we told you there is a way to filter and purify your water at home, using a 100% natural technique? Enter KURO-Bō, a South African company taking the water filtering industry by storm. Through their innovative use of Japanese-inspired activated charcoal, KURO-Bō has changed the way South Africans can access purified and mineralised water, at home and on-the-go, and with zero single-use plastic. Eco-friendly, economical, reusable and recyclable, KURO-Bō Activated Charcoal not only purifies ordinary tap water by absorbing toxins and bacteria (such as Chlorine, E. coli, Lead, Mercury, Copper and Iron) and enriching it with beneficial minerals (Calcium and Magnesium) – but it also softens the water by balancing an acidic pH, removes odours and improves flavour, so that you can really notice the difference in every sip. 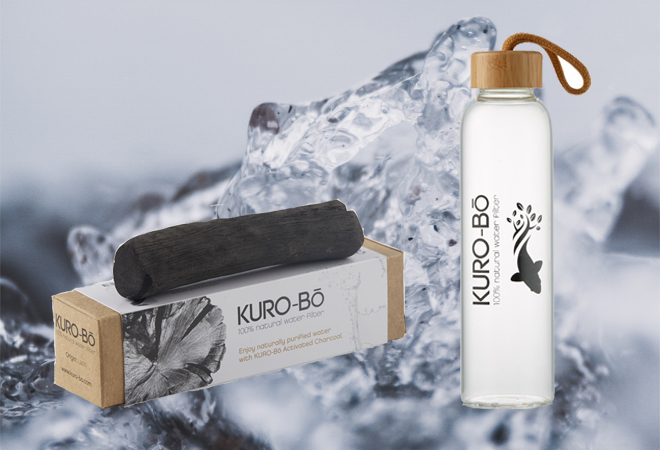 KURO-Bō Activated Charcoal lasts for a minimum of 3 months of daily use and comes in hand-cut sticks and kōins that are quickly activated through 10-minute boiling. KURO-Bō sticks are intended for up to 3 litres at a time, and KURO-Bō kōins for up to 1 litre at a time. This nifty product allows you to purify your water at home without purchasing a product made of, or housed in, plastic, and because it’s 100%, it’s not only safe for you, but also for the environment! The brand also offers a range of eco-conscious water bottles, made of glass with bamboo lids and removable neoprene sleeves that offer both grip and the ability to keep your water cool. And if you’re wondering how to clean your bottles the eco-friendly way, they’ve developed the Gō-Ecō Natural Cleaning Brush made from natural sisal (a fibre often used for rope or twine) and sustainable bamboo. 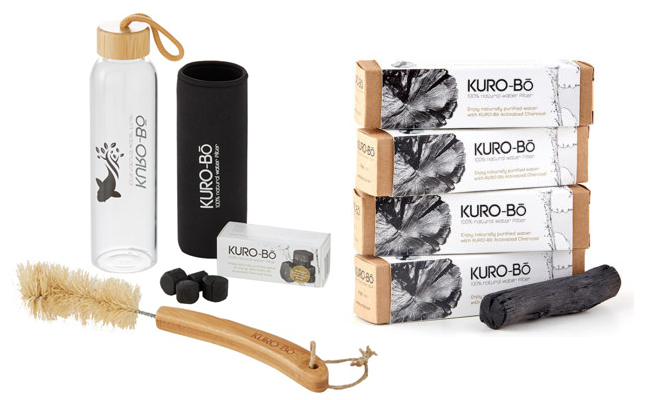 KURO-Bō natural water filters are fully recyclable, zero-waste and plastic-free. Yay for a product that really delivers on its promises without causing harm to the environment! You can shop their products at health shops country-wide, in all Wellness Warehouse stores, selected Spar, Dis-Chem and @Home stores, and online at Faithful-to-Nature and Takealot, as well as directly from KURO-Bō. I live a very healthy lifestyle and love that natural substances can aid our health so much!